Taking place late August, the Cottesloe 2017 Rio Tinto Sculpture Award acquisitive prize was installed in Busselton, Western Australia. An opening ceremony was officially opened by Rio Tinto CEO Chris Salisbury, welcoming the Column of Sound, by Harsha Vardhan Durugadda for permanent placement. 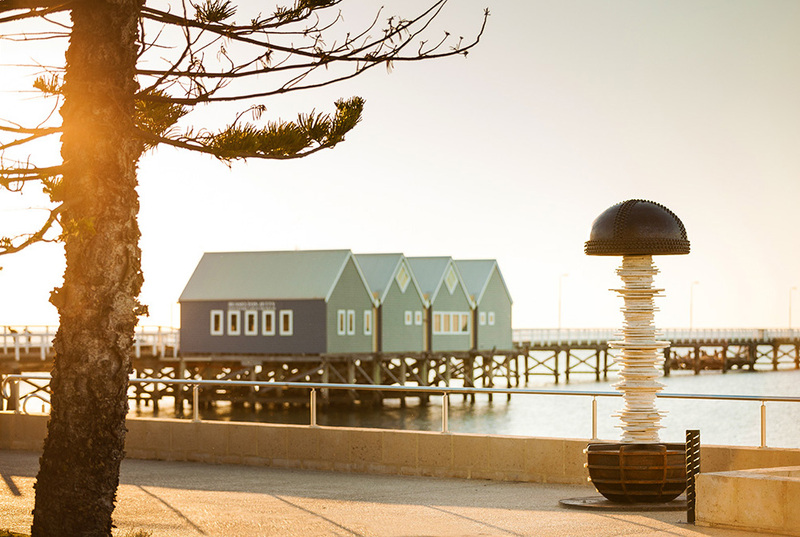 Formally gifted to the City of Busselton – Local Government, the sculpture was re-interpreted to reflect the sounds of Busselton via a frequency of a sound recording taken at Busselton by the artist. The second instalment of this prize from Cottesloe Principal Partner Rio Tinto, the Column of Sound sculpture joins the Dale Miles, Parallel Thinking sculpture located nearby which was the recipient of the award during Cottesloe 2016. © Sculpture by the Sea Incorporated. Sculpture by the Sea Incorporated is listed on the National Cultural Register and all donations to our organisation are tax deductible.